I can’t think of a better way to kick off 2010 than by giving away thousands of dollars in prizes. 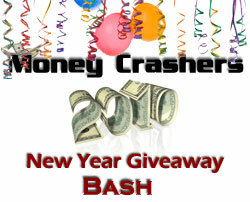 Starting today, you all have many different opportunities to enter the Money Crashers 2010 New Year Bash Giveaway! Money Crashers has partnered with a number of financial companies and personal finance bloggers like myself to round up over $5,400 (so far) in prizes to give away — including $1,485 in cash, $830 in gift cards, the entire line of Apple iPod mp3 players, 2 Amazon Kindles, a whole bunch of popular finance books, and much much more. In fact, I’m so excited about this contest that I’m offering up a brand new Amazon Kindle as one of the prizes. How cool is that? You have until February 3rd to get in on the action and there are a ton of ways to earn entries, so find out more on the contest site. In many cases it’s as easy as tweeting the contest or leaving a comment on the contest site to earn entries. With over 100 prizes being given away your chances of winning something are pretty good! 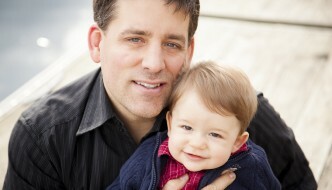 My name is Jeremy Vohwinkle, and I’ve spent a number of years working in the finance industry providing financial advice to regular investors and those participating in employer-sponsored retirement plans. Good job picking up 30 entries. Looks like I have some catching up to do. Good Luck. OOOH! Thanks for letting me know! I will definitely be entering because I would love a kindle!